(French Gulf of Guinea settlements). 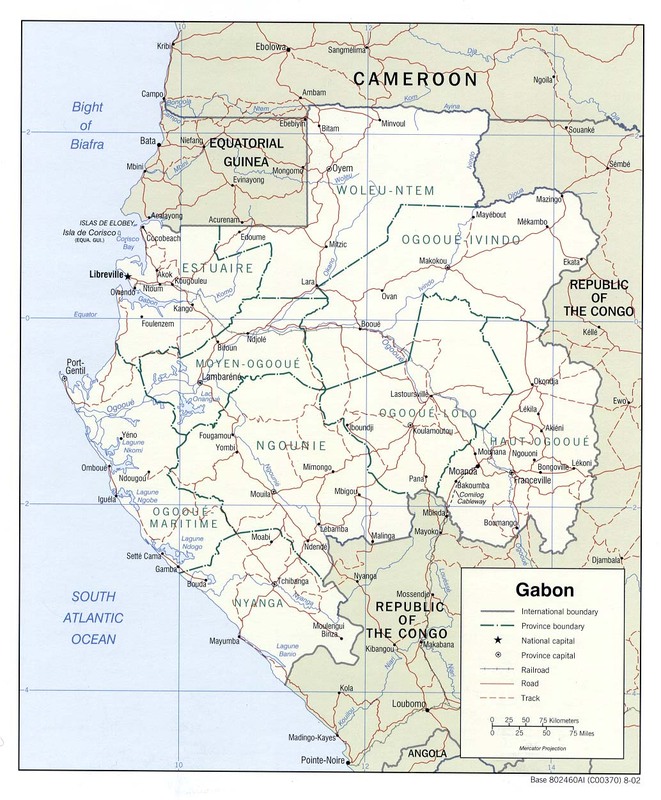 Naval Division, now with its center at Gabon. 5 Jul 1902 Gabon territory part of Lower Congo-Gabon colony. 30 Jun 1934 - 31 Dec 1937 Gabon region within unitary AEF colony. 31 Dec 1937 Gabon overseas territory of France (part of AEF). (from 12 Nov 1940, under Free French). 27 Oct 1946 Overseas territory of France (part of AEF). 28 Nov 1958 Autonomy (Gabonese Republic)(République Gabonaise). 28 Nov 1958 - 16 Aug 1960 Member State of the Communauté (French Community). Territorial Disputes: UN urges Equatorial Guinea and Gabon to resolve the sovereignty dispute over Gabon-occupied Mbane Island and lesser islands and to establish a maritime boundary in hydrocarbon-rich Corisco Bay. 9 Feb 1839 First transfer of sovereignty to France. of Africa (Division Navale des Côtes Occidentales d'Afrique). 27 Apr 1886 Part of French Congo. Note: There is a large number of very minor traditional states (like Mpongwe and Olamba), with very fragmentary records. Orungu is the only major polity. 1927 Kingdom extinguished by French colonial government. 1810 - 1840 Ogul'Issogwe (Rogombe) "Mpolo"